Sacrifice of Love: Magic, Mystery, and...Nuns? A Review of "The Mermaid and the Unicorn" by Elizabeth Hajek! Magic, Mystery, and...Nuns? 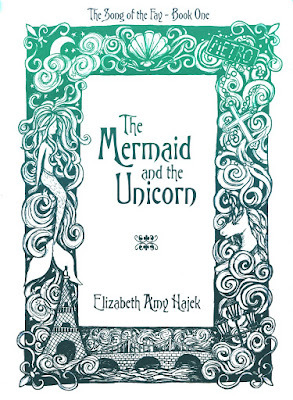 A Review of "The Mermaid and the Unicorn" by Elizabeth Hajek! A few years ago, I randomly found a coffee-table book about unicorns in the library, and proceeded to pore over the images and stories. Why not? Unicorns are exciting, beautiful, mysterious creatures, woven throughout countless ancient traditions and artwork. My favorite fairy tale is The Little Mermaid (the Hans Christian Andersen story, not the Disney movie), and when I was young, I loved poring over the library's copy of this fairy tale, which had gorgeous watercolor illustrations. 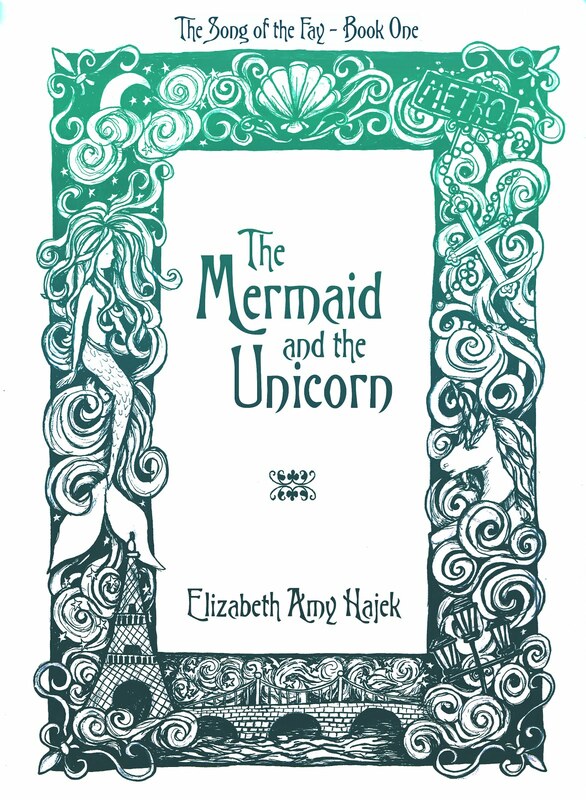 Keeping all this in mind, you may imagine that I was very excited to hear that Elizabeth Hajek was writing a novel titled The Mermaid and the Unicorn. When I heard that this story was going to be a Catholic novel, I was even more intrigued, because the author is a Protestant. For months, I have been growing in anticipation of this story, and when Elizabeth Hajek offered me a copy of her book in exchange for an honest review, I was through the roof excited! So, in celebration of the book's official release on August 15, I would like to share my personal thoughts, opinions, and reactions to this story. The Mermaid and the Unicorn, by Elizabeth Hajek, is a simply delightful novel. Ancient secrets, quirky college students, and seemingly unassuming religious sisters collide with magic and mystery in the colorful streets of Paris. The story follows college student Daphne Woodhouse as she begins a semester in France. From the initial pages of the book—when Daphne catches her first glimpse of the Eiffel Tower—I was drawn in. The image took me back to that fateful day in 2011 when I, too, saw the Eiffel Tower for the first time and knew, without a doubt, that I was in Paris. Alongside her classmates, Daphne travels to the convent where the next few months, she will be immersed in her studies. A dedicated commuter student with strong familial obligations, she is rather awkward in the intimate group of students. And upon the life of this unsuspecting, rather quiet young woman, adventure decides to emerge. After meeting a mysterious woman named Amelia, Daphne accepts an invitation that comes to change the course of her life. Amid classes, museum trips, and shopping excursions, Daphne comes to discover another side of Paris. Darkness, terror, suspense, and magic prompt her to grow, change, and honestly examine what is truly important to her. I inhaled page after page of this book. The setting, characters, and plot all wound together to create a fun, imaginative experience. I particularly loved the way in which Catholicism danced throughout the pages of this story. 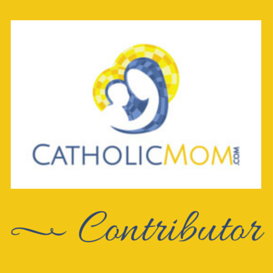 Hajek is not Catholic, but she nailed the Catholic atmosphere in this story. From intimate details of devotions to unique struggles that the characters had, the story breathed Catholicism realistically. It is apparent that Hajek took much time and effort to weave this faith tradition throughout the story tastefully, and I hope that Catholics and non-Catholics alike will enjoy exploring the traditions, conversations, and struggles of the characters. I also tremendously enjoyed the variety of characters within this story. The motherly Soeur Bernadette and the elderly, fiery Soeur Marguerite were unique, fascinating women, and I liked seeing their different interactions with Daphne. This story focuses primarily on Daphne and her adventures, but I would have loved to see more of the different personalities of the religious sisters! The college students were all very fun, believable characters who I liked as well. I especially enjoyed the spunky, Scottish Kate. Daphne was fascinating, for she undergoes tremendous growth throughout the course of the novel’s events. While I do not experience the struggles of dealing with mythical creatures, I could relate to much of the indecision and confusion that Daphne faces as she tries to choose the right course of action, and ultimately, the path that God desires her to embark on in the future. I find it very intriguing that Hajek crafted a Catholic fantasy novel in a modern setting. My exposure to the fantasy genre is mainly limited to Tolkien and Lewis, so I am not extremely familiar with the appearance of mythical creatures flitting throughout modern-day places and times. Seeing characters pray and engage in Catholic devotions—and then, in nearby pages, discuss the presence of magical powers—felt a little strange at first. Some of the characters began discussing the origin of myths in a few places of the story, which helped me to accept the simultaneous presence of Catholic devotion and mythological magic in this fantasy. As the story went on, this coexistence felt more natural to me, but--as someone who rarely reads fantasy--I would have enjoyed a little more discussion on the presence of both grace and magic. I also wanted to see more complexity surface in Derek. He is a very intriguing character, and the reader is given a glimpse into his heart as the story concludes. Yet, I know there is so much more to him, and I would love to see how he was personally impacted by the events. I am eager to continue reading about his adventures in the next book, where, hopefully, some of my questions about his story will be answered! The Mermaid and the Unicorn engages the mind and heart in an enchanting, rollicking adventure. The story stimulates the reader’s imagination and can incite some deep questions about sacrifice, purpose, and courage. While I was initially stunned by some events at the conclusion of the novel, I am very satisfied with how the story unfolded. Hajek has done an excellent job with this lighthearted, yet thought-provoking debut novel, and I am excited for the next installment of the series! To read the first three chapters of The Mermaid and the Unicorn or purchase a copy of the book, hop on over to GeekHaus Press! You can also find The Mermaid and the Unicorn over at Amazon, available in both paperback ($13.99) and Kindle ($2.99). The Kindle version is free with purchase of a paperback copy, and The Mermaid and the Unicorn is also available on Kindle Unlimited.